Toornament Knowledge Base - How much to charge for an event? All Categories ​>​ Miscellaneous ​>​ How much to charge for an event? It is really important that you know your participants. Are they Teenagers, employees? Pros, amateurs? Setting the money bar too high when your community doesn’t spend much could prevent the potential players from even considering your event. Even though paid registration cannot and should not cover the whole tournament’s costs, you can scale them depending on how much you’ll spend and how good your budget looks after some cost/revenue excel sheets. Set reasonable marks, i.e “Registration fees should cover prize money and location rent”. Online tournament are often viewed as less prestigious and simpler to run, thus calling for a lower registration fee. There are exceptions and you can add in the prize pool factor, but most of the time, participants are willing to pay more for a live event. Team-based tournaments cost more, as you host more individuals and require more logistics in the process. Still, a 5-people team shouldn’t cost 5 times more than a single player, so try to find a balance for the fee. Also, think about sums that are easy to understand, i.e. $75 for a 3-people team. Should the fees pay for the cash prize ? Poker is known for its tournaments fully relying on paid registrations. Each participant brings a hefty sum of money to enter, most of which go straight into the prize money. In this model, the higher the registration fee, the higher the prize pool and the more exciting the tournament gets for all participants. Note that this model remains specific to poker and other money-based games, where money is almost part of the game itself. The older, more experienced and renowned your tournament gets, the more you can charge. We could call this one the “premium tax”, but it’s a way to make up with the rising costs while you can’t welcome more participants. Here’s a rule of thumb regarding your tournament rate. If it’s a new one, the cheaper, the better. Whether you promise a hefty prize, or exceptional conditions, always keep a low profile until your firstevents are successes. If user experience is king, then the “amount of matches / amount of money spent” ratio is key. 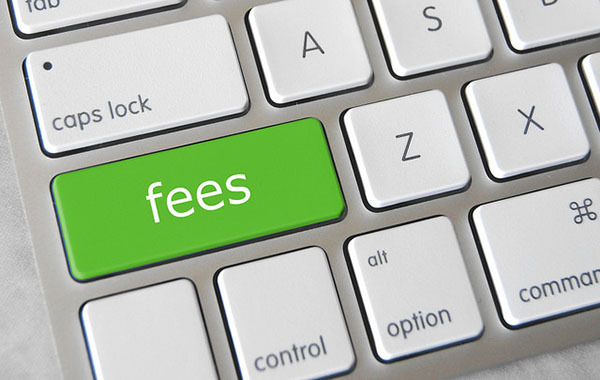 If the fee is set high, make sure participants will get a clear return on investment. It’s always very frustrating to pay for a tournament which provides just a handful of matches if you happen to lose. Your audience holds various profiles and your fees should reflect this. From a standard fee to special prices for the younger participants, students, or perks for the VIP and returning members etc. Have an estimate of how many people would pay the regular price and how many people would get a discount, find the global amount of revenue you need to generate from registration fees and you’ll get your ticket entry levels. Early adopters are a special kind of participants you should take care of. They’re the ones providing early budget and giving trends on how successful your event could be. Plus, the sooner you fill your tournament’s slots, the easier it is to move on to the next numerous production steps awaiting. It’s no surprise most events now have pre-orders and early bird special rates. In pro golf circuits, the most prestigious events are free for the players, as most of the costs and prize money are handled by sponsors and broadcast rights. Sometimes, minimizing the entry fee sends a strong signal: don’t worry, we’re backed up. Ultimately, you’ll have to find your own balance, mixing all of the above tips. Think about the EVO Series, the largest Fighting Games event in the world: they sell a general pass for every attendee and then charges $10 for each tournament a participant wants to enter. Flexible and logical system. We hope these tips helped and if you now want to know how to distribute your prize money, we’ve got you covered aswell!